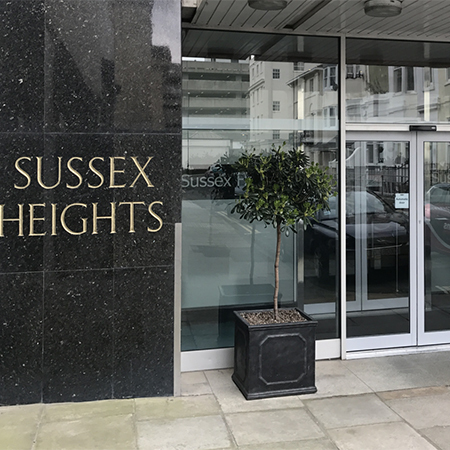 Upgrading the manual access system to the iconic Sussex Heights building in the centre of Brighton, TORMAX was contracted to install two sets of automatic sliding glass doors, creating a contemporary entrance befitting this prestigious residential tower. 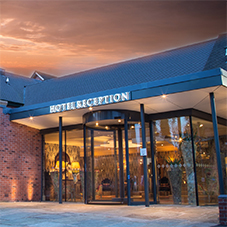 Powered by the incredibly reliable TORMAX iMotion 2202 operator, the doors silently slide open in tandem, allowing residents and their guests smooth access into the lobby, whilst minimising heat loss from the building. 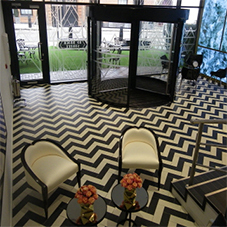 Sussex Heights is a luxury apartment block. Rising to 102m high, it is the tallest residential building on the south coast and offers outstanding views across the sea, the South Downs and over the city of Brighton. 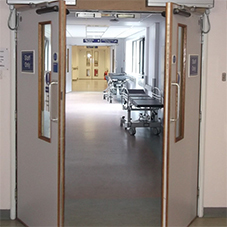 In keeping with the upmarket environment of Sussex Heights, the old manual swing doors were replaced with an automatic entrance system more befitting a luxury apartment block. TORMAX recommended their iMotion 2202 operators to power the doors as they are housed in a slim casing, making them particularly unobtrusive and suitable for a sophisticated, minimalist entrance. Vibration absorbent mountings of the guide rails ensures elegantly quiet operation. Understandably security is obviously an important factor for residents and the new TORMAX automatic doors feature an electro-mechanical locking mechanism to ensure a high level of burglary protection. They are also certified for rescue and escape routes.